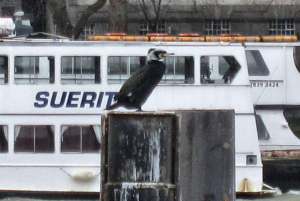 Observation - Cormorant - UK and Ireland. Description: The Thames, London so not freshwater but not really marine either. The Thames, London so not freshwater but not really marine either.